- Number 1 colored bull terrier in breed for past five years. - The Silverwood Trophy winner, 2001. 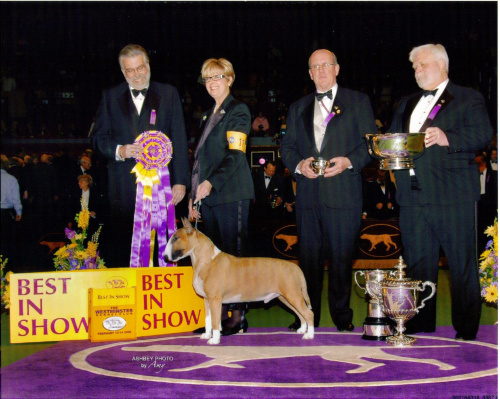 - Bull Terrier Club of America National Specialty winner, 2002 and 2004. 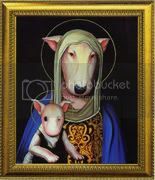 - Bull Terrier Fanciers Association of Canada, Bronze Trophy and National Specialty, 2003. - 31-time winner of All Breed Best in Show. Z profilu ma dziwną bardzo te klate, najpierw myslałam, ze to fotomontaz, ale on rzeczywiscie ma taką klate.